After strong support from the homeschooling community led to unprecedented victories during the 2017 regular Texas Legislative session, THSC is gearing up to return to Austin for the 30-day special legislative session called by Texas Gov. Greg Abbott. Governor Abbott is ordering Texas Senators and Representatives to return to Austin on July 18 to address high-priority items. Among those 20 items is Governor Abbott’s priority of school choice options for special needs students. Ahead of the special session, Rep. Ron Simmons has pre-filed the school choice bill he plans to push during the legislative session. 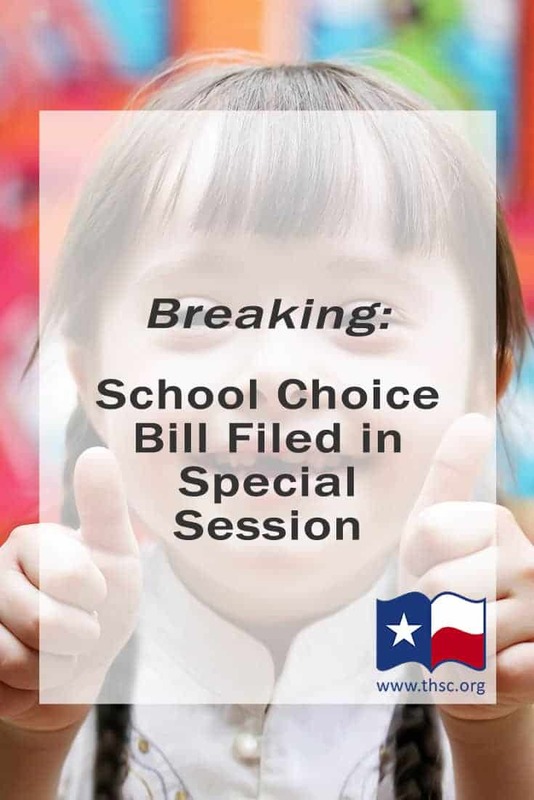 This bill, House Bill 52, is a copy of the latest draft version of the school choice bill that Representative Simmons advocated for during the 2017 regular legislative session that THSC highlighted at the time. The bill will likely undergo several changes as it moves through the legislative process during the special session. What Does the School Choice Bill Do? HB 52 establishes an IEP (Individual Education Plan) Account to be used by eligible students to pay for a variety of education related expenses. IEP Accounts are a type of Education Savings Account but are applicable only to families with special needs students. The IEP Account is funded by taking a percentage of the dollars normally allocated for a particular student to the local public school and setting them aside in the IEP Account for the parent to control. Additionally, the bill prohibits regulation by the state or any state agency of any participant of the program or any family who chooses not to participate (see language below). As long as the child continues to meet these two requirements they remain eligible to participate in the program until graduating from high school. Purchase of textbooks instructional materials and curriculum. Fees for classes or other educational services provided at the public school or by a private tutor or teaching service. Costs of computer hardware/software, not to exceed 10 percent of the annually allotted amount for the participant’s account for that year. Fees for nationally norm-referenced tests or college admissions tests. Contributions to certain qualified tuition programs established for the child, not to exceed 25 percent of the total amount paid to the program participant’s account that year. *Note: This item indicates that when using the account to pay for tuition at a private school, the private school must be accredited, not that only families attending an accredited private school may use the account. A home school family could still use the account to pay for other expenses from the list. How Much Funding Would be Available Each Year? Section 29.358 (a) of the bill provides that the account will receive funding each year equal to “90 percent of the state and local maintenance and operations revenue,” which otherwise would have gone to the local school for that child. Current estimates place this amount at approximately $8,000. Additionally, Section 29.358 (d) provides that any funds remaining in the child’s account at the end of the year will be carried over to the following calendar year. How Does the Bill Affect Homeschoolers? House Bill 52 provides the freedom for a family with a special needs student to use the funds currently allocated to the local school for their child. They would then be able to purchase specific educational materials or services their child needs. The strong protections included in the bill also protect from any attempts by the state to exert control over participating families. THSC watches every bill related to homeschooling and parental rights to monitor potential threats. For both participants and nonparticipants: “A private school voluntarily selected by a parent for the parent’s child to attend or a parent who homeschools the parent’s child, with or without governmental assistance, may not be required to comply with any state law or rule governing the applicable educational program that was not in effect on January 1, 2017.” This is an absolute prohibition against any new regulation to control the educational program of a family or private school. THSC and the Texas homeschooling community have long been known as champions of parental rights and freedom for families to raise their children as they see fit. THSC supports HB 52 because it provides families of special needs students the freedom to make decisions for their own children’s education. As we reported earlier this year, current polling numbers indicate that a wide majority of homeschoolers adhere strongly to these foundational principles. 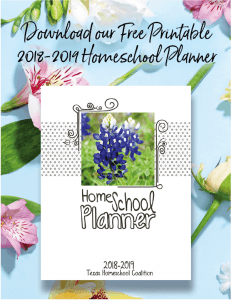 A scientific poll conducted by Ragnar Research Partners indicates that Texas homeschoolers consider education to be the No. 1 most important issue that the Texas legislature should address. Not surprisingly, 95 percent of respondents also said that giving parents more choices was an important step to take. On the topic of Education Savings Accounts (such as the program created by HB 52), the memo released by Ragnar Research indicates that 71 percent of homeschoolers support the policy, 20 percent are opposed, and 9 percent are undecided. THSC and the Texas homeschool community have fought hard for our freedom for more than 30 years. Regardless of what we would choose for our own families, we must support the liberty of parents to make decisions for their own children. 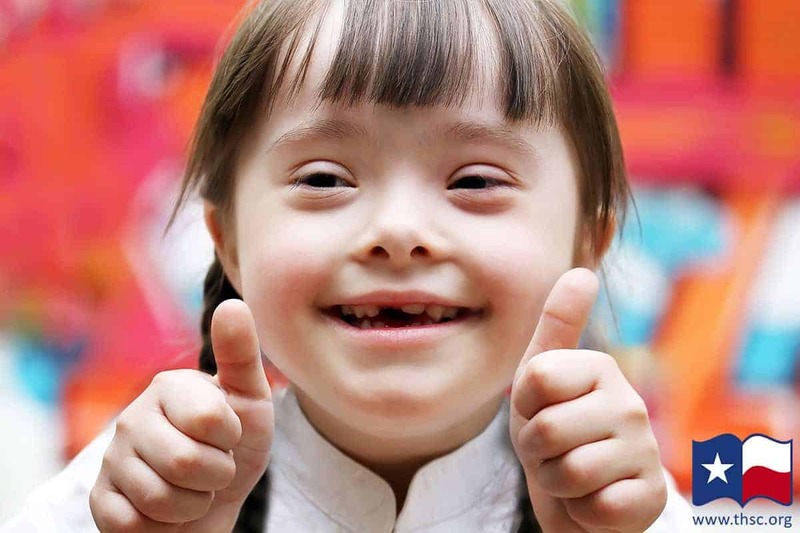 THSC supports HB 52 because it provides families of special needs students the freedom to make decisions for their child’s education. Do you support the freedom of families to decide what is best for their own child? Sign up today to receive updates from THSC about our work to protect homeschoolers during the legislative session. Do you feel led to help in this important work passing the school choice bill and supporting Texas families? Join THSC today or make a donation to support the THSC team heading to Austin as we work together Keeping Texas Families Free. I am curious as to where the homeschooling support is coming from. Majority of groups that I am in ademently oppose this. So can I get this for my disable son? Thanks so much for your question! Unfortunately, this bill did not pass and become law. However, we a huge advocates of educational freedom for families, and so we will be supporting this legislation again in the 2019 legislative session. Hopefully it will get enough support to pass in the spring of 2019. Stay tuned for updates on this next year!